Latest Laghitani Registered! / Ultimo Laghitani Registrato! Our organization is dedicated exclusively to the conservation and revitalization of the city of Lago and its ancient traditions. La nostra organizzazione è dedicata esclusivamente alla conservazione e alla rivitalizzazione della città di Lago e delle sue antiche tradizioni. Click here to subscribe to receive updates when we add new website features and content! Clicca qui per iscriverti per ricevere aggiornamenti quando aggiungiamo nuove funzionalità e contenuti del sito web! Clicca qui per vedere il nostro Gruppo Facebook! It's funny how confusing it can all be. Lago is a territory (“commune”) in Italy. The term is akin to both a city and a county in English. Lago is in the province of Cosenza. 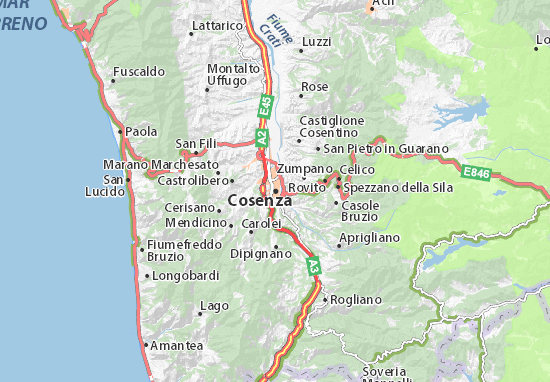 There is also a city named Cosenza, which is the capital of the province. 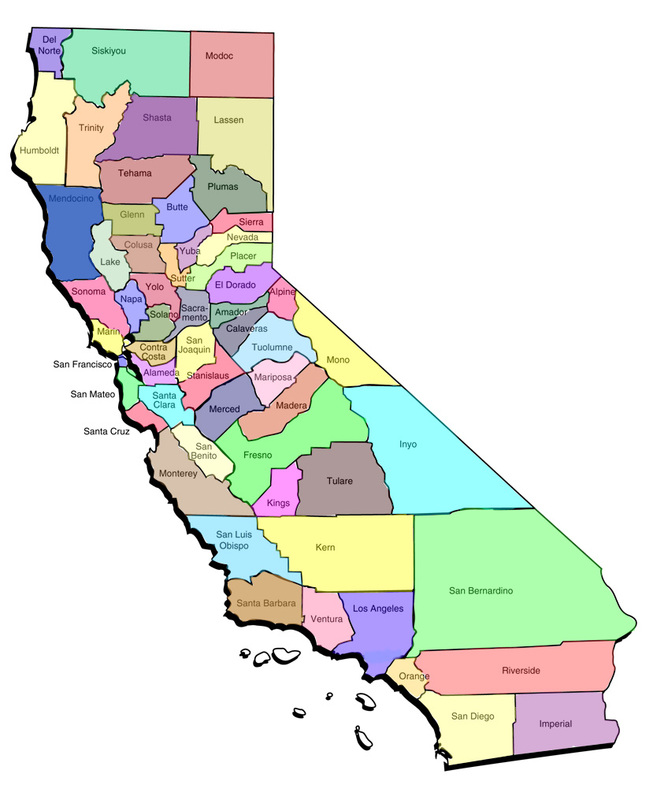 (Much like Los Angeles city in Los Angeles county). Cosenza province is the northernmost province of the region of Calabria. Calabria is the southernmost region in mainland Italy. 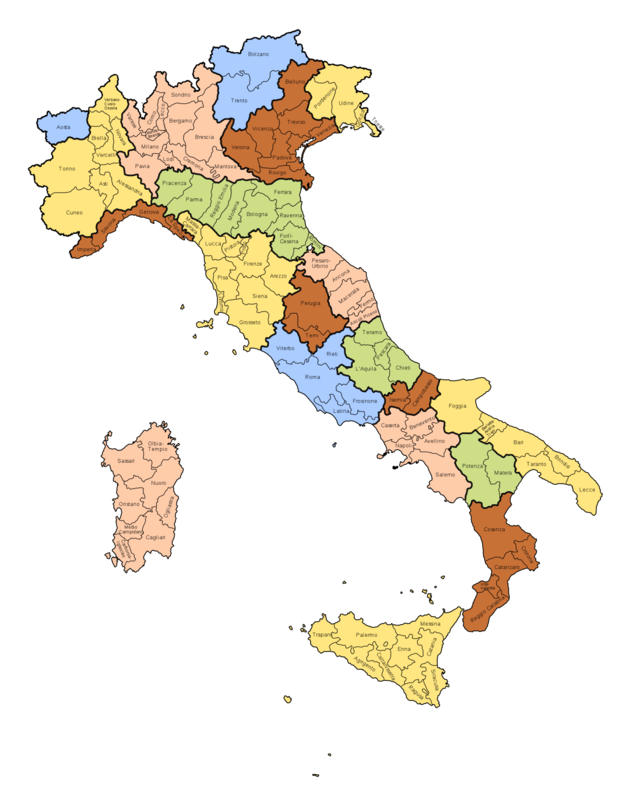 Calabria is commonly called the “toe” of boot-shaped Italy, but Cosenza is not near the actual toe. That part of Calabria is called Reggio Calabria, not to be confused with Reggio Emilia, in Romagna. Like Cosenza, Reggio is both a city and a province. Calabria is not the “real” name of the region. For much of its early history, modern Calabria was known as Lucania et Bruttium. The “heel” of Italy is the original Calabria. The heel, arch, and toe were united politically during the Middle Ages, and together known as Calabria. 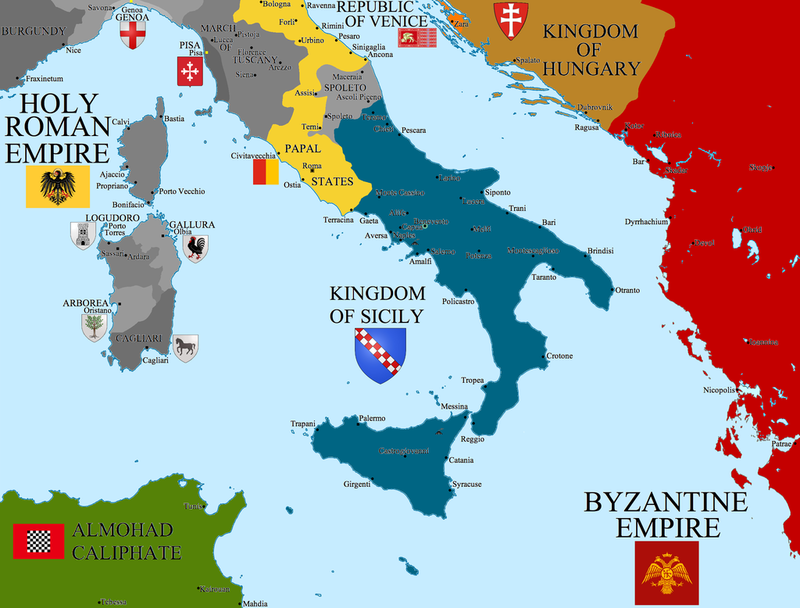 Ironically, the other two territories were invaded and lost, so all that was left of three-region Calabria is modern Calabria, since the other two provinces were renamed. Thus, the name actually migrated west. Cosenza is also not part of Sicily, but for a while, the kingdom it was part of was called, “The Kingdom of the Two Sicilies”. After all of this, it is reassuring to know that the most ancient name recorded in the region was, “Itali,” and that of course, it is part of Italy today. The entire province of Cosenza's population is just about 700,000. That's less than the city of Jacksonville, Florida. And Cosenza's population was much smaller in the past. When a family has lived so long in a region, genealogy ceases to be important, and the history of the region simply becomes the history of the family. Let's start at the beginning of humanity. Laghitani males bear a genetic signature on their Y-chromosome that ties us to the earliest inhabitants of Italy, France, and Spain. Today, it is rare, yet fairly common in central Italy and Sardinia. It is a non-recombinant sub-clade that originated among certain of Europe's hunter- gatherers, who then likely took up farming relatively quickly. Northern Italy's most ancient Indo- European inhabitants, those who spread the wheel and horse-rearing, also bore this genetic signature. This genetic signature has been linked to the spread of massive “megalithic” architecture (like Stonehenge) in western Europe during ancient times, and super-centenarians (people living past age 100), in modern times. It also means that the direct male ancestors have lived in Italy for approximately 25,000 years, and do not descend from invaders. Writing came to the Cosenza area around 1000 B.C. 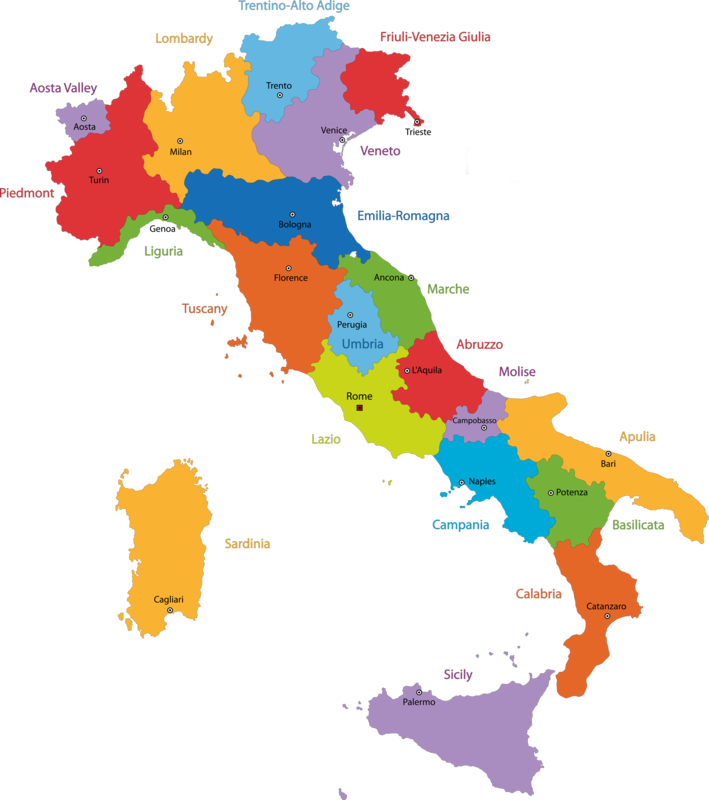 From the early texts, we know that Cosenza was the first geographical region in the world to be called, “Italy.” Before there was the Roman empire, and before anyone called the entire peninsula “Italy,” it was broken up into tribal confederations. The pre-historic tribe living in Cosenza called themselves the “Itali.” They called their land, “Viteliu.” It means, “land of the life-giving calf.” Names like this may sound funny, but were common in ancient times. For example, as we all know, the ancient Israelites called their land, “the land flowing with milk and honey.” After the Itali, the tribe that lived in Cosenza were called the Oenotri. It means the “wine-grape growers.” Not much is known of these two tribes except their names. Around 500 B.C., these tribes were conquered by and merged into a tribe called the Bretti, who named their country “Brettiōn.” Much is known about them. They were part of Oscan-speaking Italy. 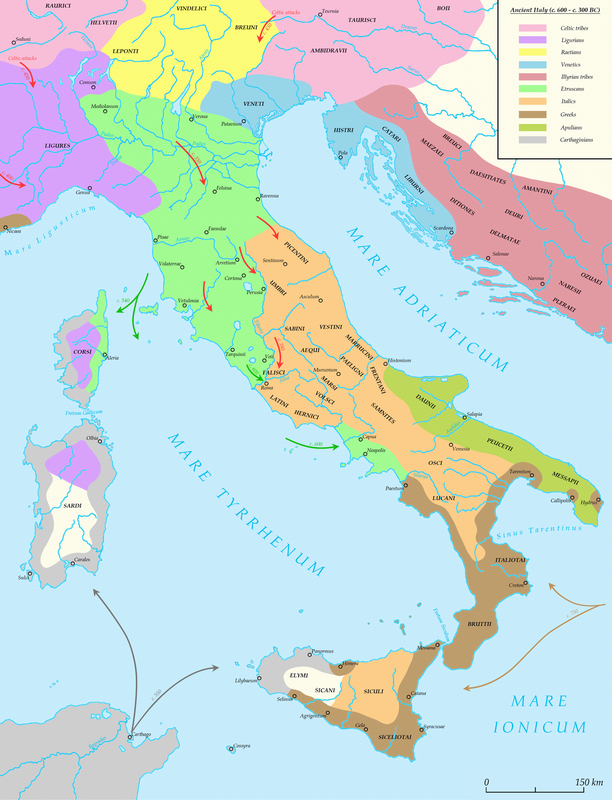 Italian tribes at the time were separated into three big groups: The lowlanders, who spoke Latin and Faliscan, lived near Rome; those who spoke Umbrian lived north of Rome; and those who spoke Oscan lived south of Rome, mostly in the mountains. The Oscans came to dominate most of Southern Italy by a process they called “Sacred Spring.” When a generation had too many children, the children, upon reaching adulthood, would be dedicated to Mars, the god of war and agriculture, and then kicked out of the tribe, with the mandate to form a new one. They would wander, without food, and were supposed to conquer new territory. The original Oscans were the Sabines, which lived in the hills behind Rome. Together with the Latin-speakers from the lowlands and some Etruscans to the north, these three groups fused to form the Roman people. Breaking off from the Sabines were the Samnites, the most famous Oscan speakers. They invented things like the comedy play, and also key military formations. They fought at least four wars against Rome, and but for a few twists of fate, history books would be discussing the “Samnite Empire” today. An offshoot of the Samnites were the Lucanians. They penetrated still farther south into Italy. They were also known for their military prowess, providing the Roman army with soldiers, and for inventing the sausage. The Bretti lived in what is now the Cosenza province. Their capital was Consentia, the old name for the city, but nearby Carolei was also a substantial Enotrian and then Brettian center. The Bretti reached their peak as a nation in about 300 B.C. Like New York in the 1900s, London in the 1800s, Paris in the 1700s. that it enjoyed great wealth. The Bretti minted beautiful coins, which are very sought-after by collectors today. Bretti Silver Drachm Coins 216-214B.C. The Bretti and Lucanians were stubborn resistors of all things Greek. Greeks had colonized the coastal cities of Sicily and Southern Italy, but the Bretti and Lucanians refused to yield. 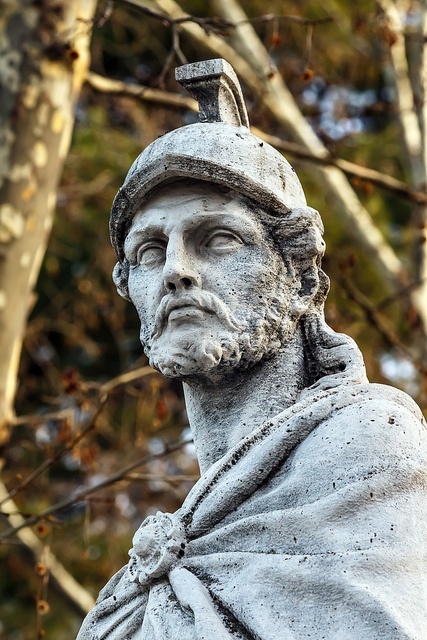 Alexander the Great's uncle even invaded Cosenza in 331 B.C. In a battle near Lago, the combined native force defeated his army and killed him. This is why Alexander the Great ruled over Greece to Afghanistan, but never tried to conquer Italy. The Bretti declined in power precipitously after making some bad choices against Rome. After they sided with Hannibal in the Second Punic War, Rome finally had enough. Rome confiscated half of their territory, and insisted on the right to clear cut their precious forests, which ended up supplying the timber and pitch for Roman fleets. Rome treated the Samnites similarly harshly. Rome also began settling the families of veteran soldiers in Cosenza. Romans who served twenty years in the army were given large plots of the best farmland in Italy. 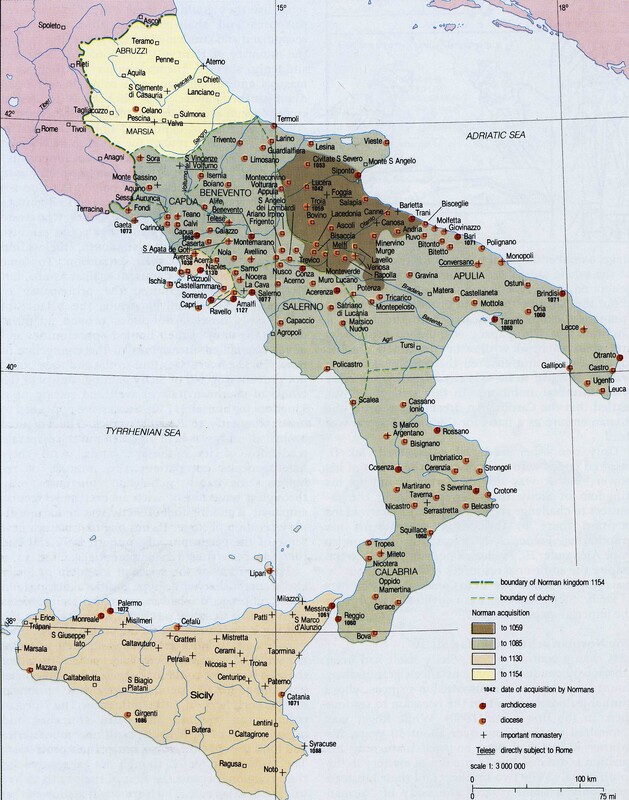 Roman colonies were located in what is now Campora San Giovanni (Amantea), 10 miles from Lago, in 194 B.C., and also in Figline Vegliaturo, San Lucido, and Cosenza. In addition, much the neighboring territory of Amantea proper was given to the Roman people as public land – anyone could homestead there and grow crops. Finally, the Romans also likely located a small military base near Lago, in modern Aiello. 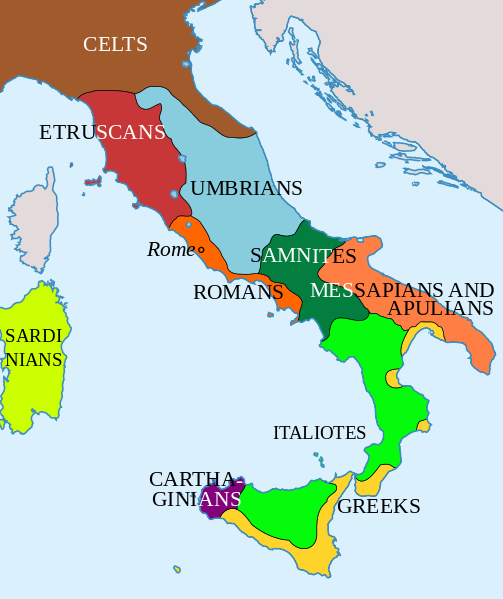 Combined, these mechanisms “romanized” the population, and are the reason why Italy speaks a Latin-derived language today. The modern population of Cosenza is descended from this combined Roman-Bretti population, perhaps with a smidgeon of Greek. Many famous classical-era personalities either had a signifcant presence in Cosenza, or were ethnically Oscan. For example, Cicero had a villa on the beach just south of Cosenza, and named the area among the most beautiful places in the ancient world. Pythagoras came up with his famous theorem in Cosenza. 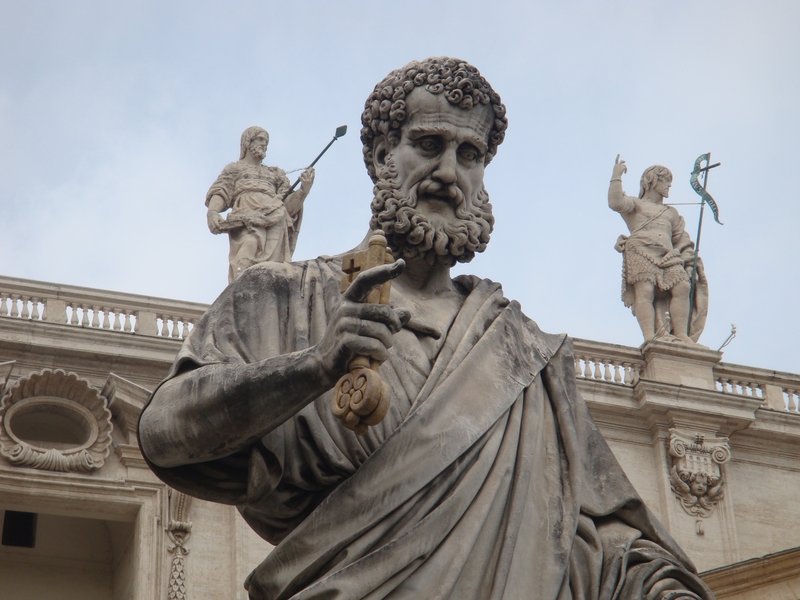 And of course, St. Peter passed through there on his way to Rome. 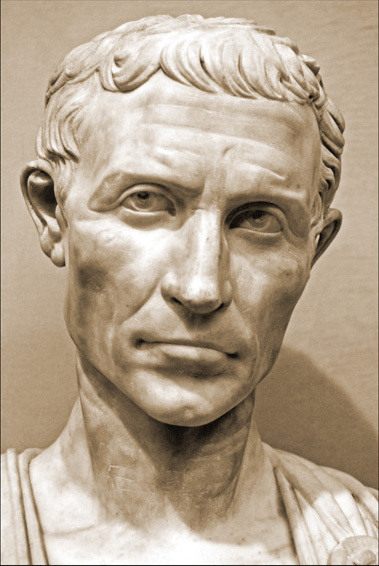 Pontius Pilate was a Samnite. So was the poet Horace. 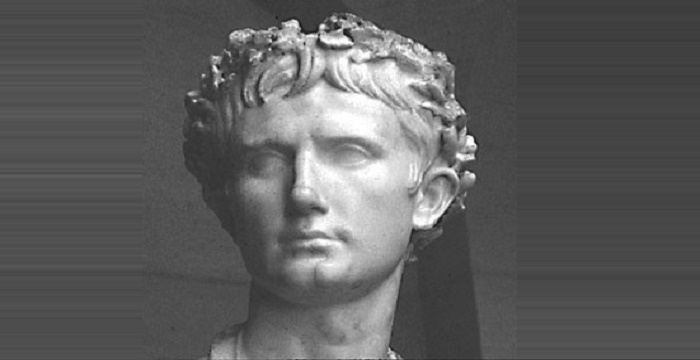 Caesar Augustus's ancestry was partly from Cosenza, and he likely spent some of his formative years in a little town 70 miles from Lago. 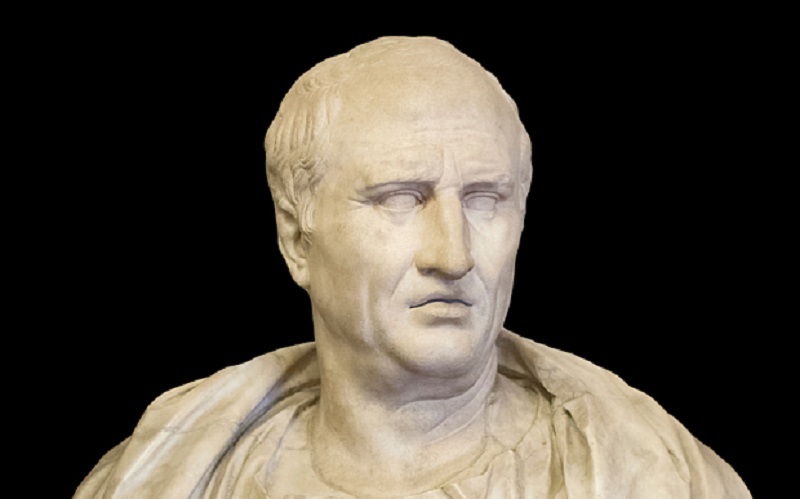 Titus Statilius Taurus, who the forces of Antony and Cleopatra surrendered to at Actium, was Lucanian. 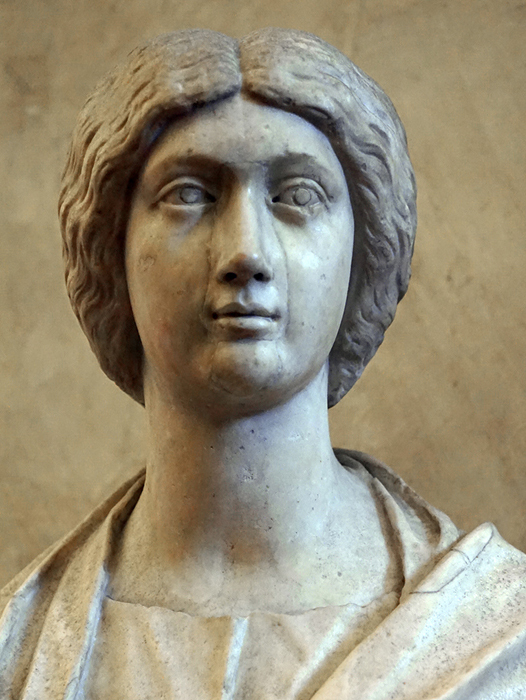 The later Roman Emperor Libius Severus was from the Cosenza region, as was the Empress Bruttia Crispina. There are many more. As the Roman Empire fell, the city of Cosenza became famous not for who lived there, but for who died there. 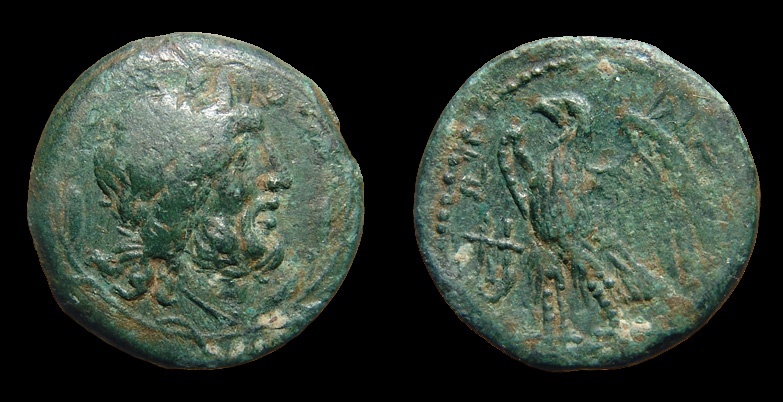 Alaric, king of the germanic Visigoths who had pillaged Rome, caught malaria in Cosenza. His followers diverted the river in Cosenza, buried Alaric (and Rome's treasures) in the riverbed, massacred everyone who knew of the location, and re-routed the river to cover the tomb. Every few years some bauble washes up, but his precise burial place, and the treasure, has never been found. Archaeologists have recently renewed efforts to locate it, as it is believed the find would rival Troy, or King Tut's tomb, in its splendor and significance. Cosenza was part of the western Roman empire for almost seven-hundred stable years. But the area around Cosenza was somewhat of a chaotic border region during medieval times. After the Western Roman empire fell in 476 A.D., Cosenza remained loyal to the eastern emperor, and to the concept of empire. 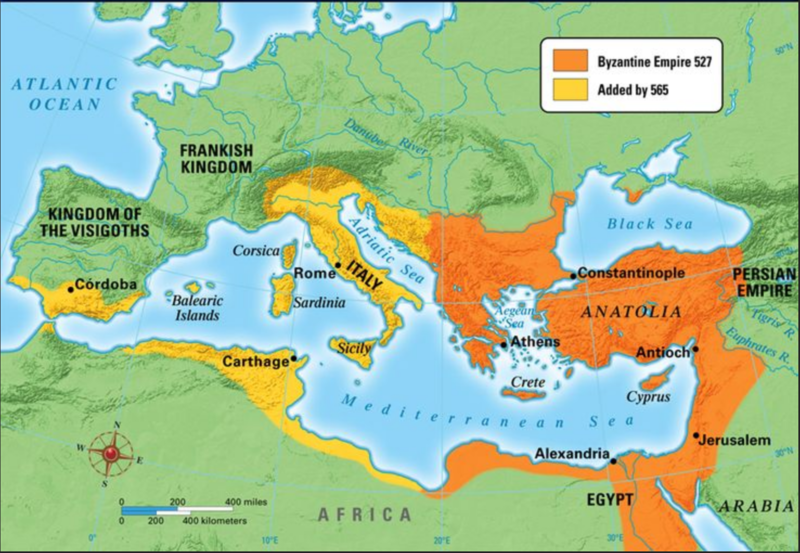 It was therefore part of the “Byzantine” (Eastern Roman) empire, on and off, until about 1000 A.D. 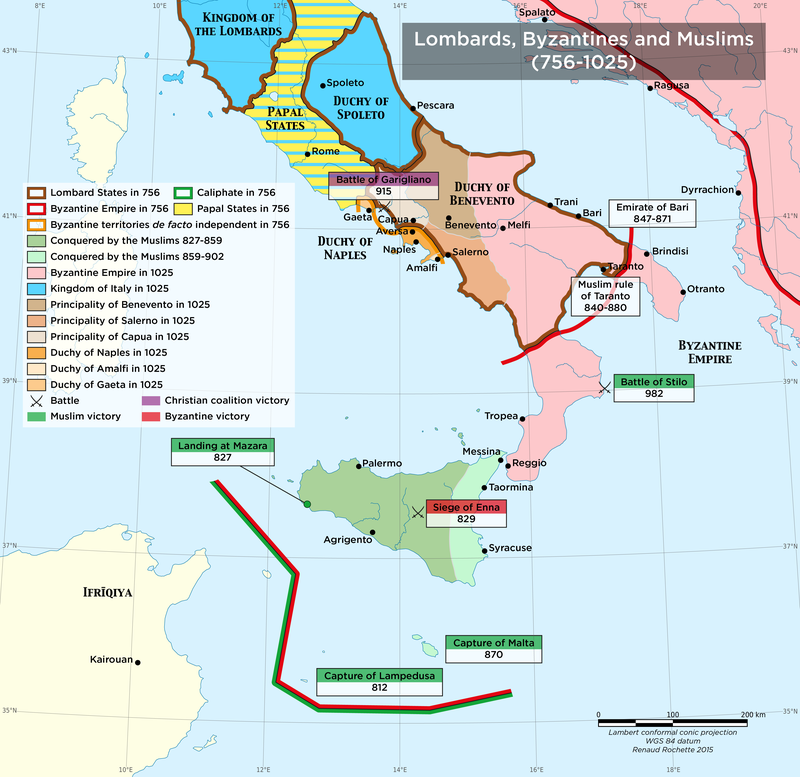 But the various Germanic rulers of Italy also had a strong and signifcant presence there, primarily the Lombards and Normans. The town we know as Lago was founded in approximately 988 A.D. – certainly between 950 A.D. and 1010 A.D.
Saracen pirates had been raiding the region and kidnapping the population. In approximately 988 A.D., they finally put Cosenza to the sack and captured Amantea. The survivors dispersed, and settled the mountainous areas where one was safer. Several mountain areas were selected also to be a line of first defense. Watchmen would warn of approaching pirate vessels. Lago was one of these settlements. Raids were not the only reason why the lowlands were abandoned during this time. As discussed above, the Romans deforested much of the previously majestic forests of Cosenza. This caused the topsoil to flow down the mountainsides, and the rivers to fill with silt. Slower-flowing rivers meant more mosquitoes could breed. More mosquitoes meant malaria. The coastal regions became malarial. Generally however, mosquitoes do not breed above a certain elevation. Hence, as the lowlands became malarial, the population fed to the mountains, where the rivers still flowed like torrents and the malaria wasn't so bad. So pirates and malaria are the main reasons are why the community of Lago was formally founded, during the period right before and right after 1000 A.D. 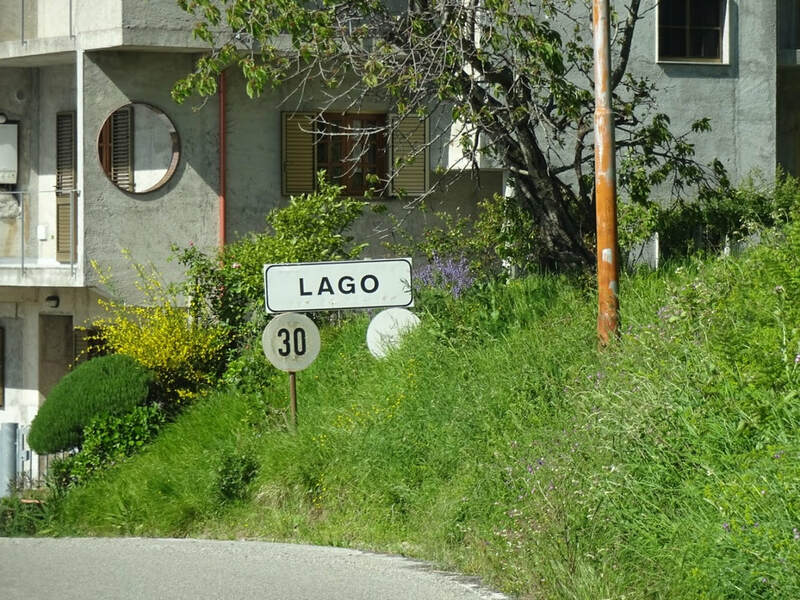 The name of Lago is sometimes called a mystery, because it means “lake” in Italian, but there is no lake there. The locals furthermore pronounce it, “vacu,” kind of like “vacuum.” Some remark that no one knows if Lago got named because of a bulge in a river (a small lake, which perhaps has since disappeared), or because it's a small valley (i.e., in a vacuous part of the mountains). 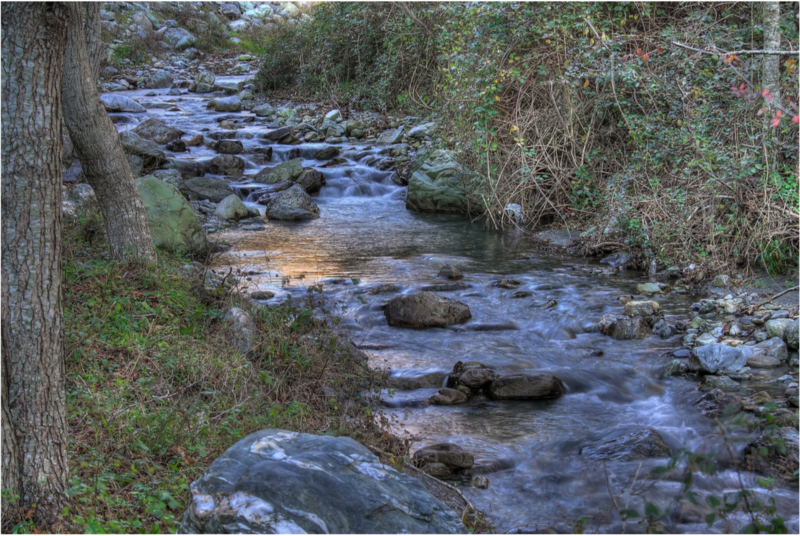 The most parsimonious explanation is the former, which stems from the following facts: the Licetto River (“Eliceto,” “Acero”) turns sharply at the edge of town; the Licetto River has a history of silting up; the area around it is famous for its mudslides; other rivers in Calabria have changed course in the 2500 years of recorded history; and that there are plenty of examples of bulges in rivers being called “lakes” – for example, Lake Havasu, which is just part of the Colorado River. Therefore, it is a comfortable assumption that the city got its name from a bulge in the Licetto River, part of which is still visible at the northwest edge of town. Indeed, as a spot with ample water because of the many springs, the Licetto River, and the Olivo stream to the east, it’s highly likely that even before its formal founding, Lago was for millennia a place where humans had settled. Therefore, the pirates and malaria of the Dark Ages simply caused the existing settlements in Lago to be augmented. Lago was a “suburb” (in the territory of) the city-state of Aiello during much of its early existence. Aiello was founded by the Romans, originally named, “Agellus,” (“small field; estate”), and was the probable site of a small army camp along a strategic trade and communications route. Lago probably did not change much due to the Renaissance. Because of its remote isolation, Southern Italy was a comparative backwater to Northern Italy during the Renaissance. But there were some important people from Cosenza who contributed much to the world during that epoch. First, two of the navigators in Christopher Columbus's voyages were from the area around Lago. Second, the Cosentine philosopher Bernardino Telesio did much to develop thought and scientific method during the Renaissance, and infuenced thinkers like Francis Bacon and Rene Descartes. St. Francis of Paola was, of course, a noted religious thinker and personality. And fnally, there were several painters of Cosentine heritage who painted masterpieces throughout Italy. During the late Renaissance, several churches in Lago were built, some of which are still standing. The church, “Madonna of the Mountains,” built in 1652, is quite beautiful. One wonders of course, how the devout townsmen, after a hard day's work in the fields, found the time to erect structures like this, with no advanced machinery. Cosenza was a center of world silk production during much of its history. Before the Industrial Revolution enabled cheap clothes to be manufactured in England, our ancestors were mostly silk farmers. In the 1753 census of Lago, wealth was counted primarily by how many mulberry trees one owned, and how many daughters were marriage material. Like the rest of Southern Italy, Lago became part of the Kingdom of Naples and the Kingdom of the Two Sicilies (basically all of Italy south of Rome) until Italian re-unifcation in 1861. It was part of the province known as Calabria Latina. È divertente come possa essere confuso tutto ciò. Lago è un territorio ("comune") in Italia. Il termine è simile a una città e una contea in inglese. Lago è in provincia di Cosenza. C'è anche una città chiamata Cosenza, che è la capitale della provincia. (Proprio come la città di Los Angeles nella contea di Los Angeles). La provincia di Cosenza è la provincia più settentrionale della Calabria. La Calabria è la regione più meridionale dell'Italia continentale. La Calabria è comunemente chiamata "punta" dell'Italia a forma di stivale, ma Cosenza non è vicina alla punta reale. Quella parte della Calabria si chiama Reggio Calabria, da non confondere con Reggio Emilia, in Romagna. Come Cosenza, Reggio è sia una città che una provincia. La Calabria non è il "vero" nome della regione. Per gran parte della sua storia antica, la Calabria moderna era conosciuta come Lucania et Bruttium. Il "tacco" d'Italia è l'originale calabrese. Il tallone, l'arco e la punta erano uniti politicamente durante il Medioevo e insieme conosciuti come la Calabria. Ironia della sorte, gli altri due territori furono invasi e persi, quindi tutto ciò che restava della tre regioni della Calabria è la Calabria moderna, poiché le altre due province furono ribattezzate. Pertanto, il nome è effettivamente migrato verso ovest. Anche Cosenza non fa parte della Sicilia, ma per un certo periodo il regno di cui faceva parte fu chiamato "Il Regno delle Due Sicilie". Dopo tutto ciò, è rassicurante sapere che il nome più antico registrato nella regione era "Itali" e che, naturalmente, è parte dell'Italia oggi. L'intera popolazione della provincia di Cosenza è di circa 700.000. Questo è meno della città di Jacksonville, in Florida. E la popolazione di Cosenza era molto più piccola in passato. 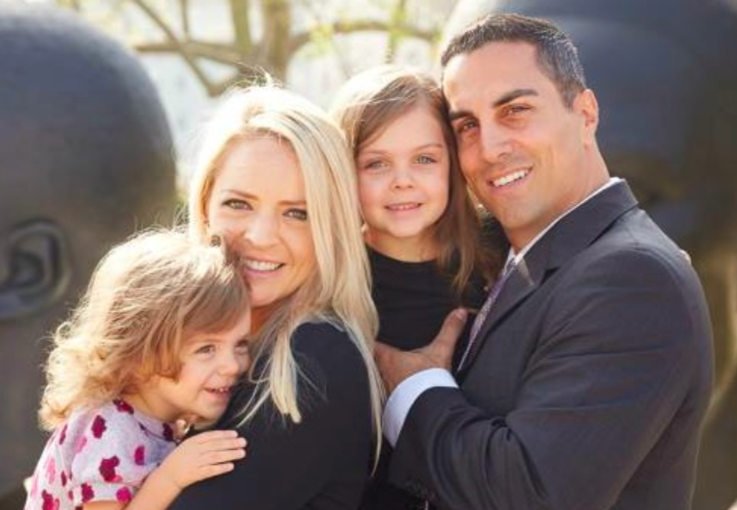 Quando una famiglia ha vissuto così a lungo in una regione, la genealogia cessa di essere importante, e la storia della regione diventa semplicemente la storia della famiglia. Iniziamo dall'inizio dell'umanità. I maschi Laghitani recano una firma genetica sul loro cromosoma Y che ci lega ai primi abitanti di Italia, Francia e Spagna. Oggi è raro, ma abbastanza comune nell'Italia centrale e in Sardegna. Si tratta di un sub-clade non ricombinante originato da alcuni dei cacciatori-raccoglitori europei, che quindi probabilmente presero un'attività agricola in tempi relativamente brevi. I più antichi abitanti indo-europei del Nord Italia, quelli che diffondevano la ruota e l'allevamento dei cavalli, portavano anche questa firma genetica. Questa firma genetica è stata collegata alla diffusione di massicce architetture "megalitiche" (come Stonehenge) nell'Europa occidentale durante i tempi antichi e super-centenari (persone che vivevano oltre 100 anni), in tempi moderni. Significa anche che i diretti antenati maschi hanno vissuto in Italia per circa 25.000 anni e non discendono dagli invasori. La scrittura arrivò nell'area di Cosenza intorno al 1000 B.C. Dai primi testi sappiamo che Cosenza è stata la prima regione geografica al mondo a essere chiamata "Italia". Prima c'era l'impero romano e prima che qualcuno chiamasse l'intera penisola "l'Italia", era suddivisa in confederazioni tribali . La tribù preistorica che viveva a Cosenza si definiva "Itali". Chiamavano la loro terra, "Viteliu". Significa "terra del vitello vivificante". I nomi come questo possono sembrare divertenti, ma erano comuni nei tempi antichi . Ad esempio, come tutti sappiamo, gli antichi israeliti chiamavano la loro terra, "la terra che scorre con latte e miele". Dopo l'Itali, la tribù che viveva a Cosenza era chiamata Oenotri. Significa "coltivatori di uva da vino". Non si sa molto di queste due tribù tranne i loro nomi. Intorno al 500 B.C., queste tribù furono conquistate e fuse in una tribù chiamata Bretti, che chiamò il loro paese "Brettiōn". Ne si conosce molto. Facevano parte dell'Italia di lingua osca. 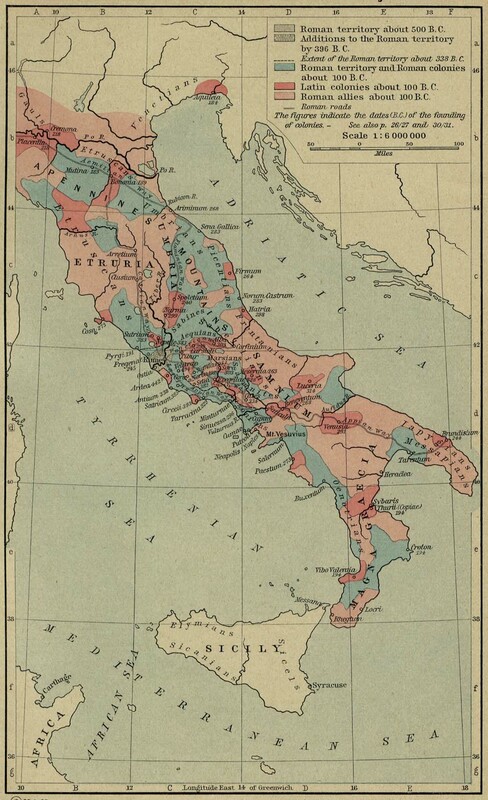 Le tribù italiane all'epoca erano divise in tre grandi gruppi: i Lowlander, che parlavano latino e falisco, vivevano vicino a Roma; quelli che parlavano umbro vivevano a nord di Roma; e quelli che parlavano Oscano vivevano a sud di Roma, soprattutto nelle montagne. Le antiche fonti descrivono questi diffusori di Oscan come feroci e robusti highlander. Come scrisse il poeta romano / osco Orazio, questi erano: "rusticorum mascula militum proles". Gli Oschi vennero a dominare la maggior parte del Sud Italia con un processo che chiamarono "Primavera Sacra". Quando una generazione ebbe troppi figli, i bambini, una volta raggiunti l'età adulta, sarebbero stati dedicati a Marte, il dio della guerra e dell'agricoltura, e poi cacciati fuori dalla tribù, con il mandato di formare uno nuovo. Vagavano, senza cibo, e dovevano conquistare nuovi territori. Gli Oscani originali erano i Sabini, che vivevano sulle colline dietro Roma. Insieme ai latini provenienti dalle pianure e alcuni Etruschi a nord, questi tre gruppi si sono fusi per formare il popolo romano. A separarsi dai Sabini c'erano i Sanniti, i più famosi oratori di Oscan. Hanno inventato cose come la commedia e anche formazioni militari chiave. Combatterono almeno quattro guerre contro Roma, ma, per alcuni colpi di scena, i libri di storia avrebbero discusso oggi dell '"Impero sannitico". Un ramo dei Sanniti erano i Lucani. Penetrarono ancora più a sud, in Italia. Erano anche conosciuti per la loro abilità militare, fornendo all'esercito romano soldati e inventando la salsiccia. 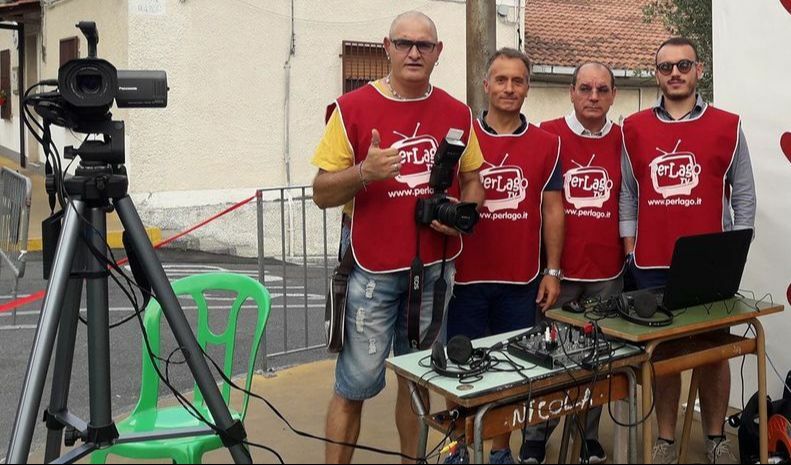 Un ramo dei Lucani erano i Bretti. I Romani e i Lucani li chiamavano "Brutti", che significa "rinnegati". I Bretti vivevano nell'attuale provincia di Cosenza. La loro capitale era Consentia, il vecchio nome per la città, ma nelle vicinanze Carolei era anche un importante centro enotrico e poi brettiano. I Bretti raggiunsero il loro apice come nazione nel 300 B.C. Come New York nel 1900, Londra nel 1800, Parigi nel 1700.
che ha goduto di grande ricchezza. I Bretti coniavano bellissime monete, che sono molto ricercate dai collezionisti di oggi. 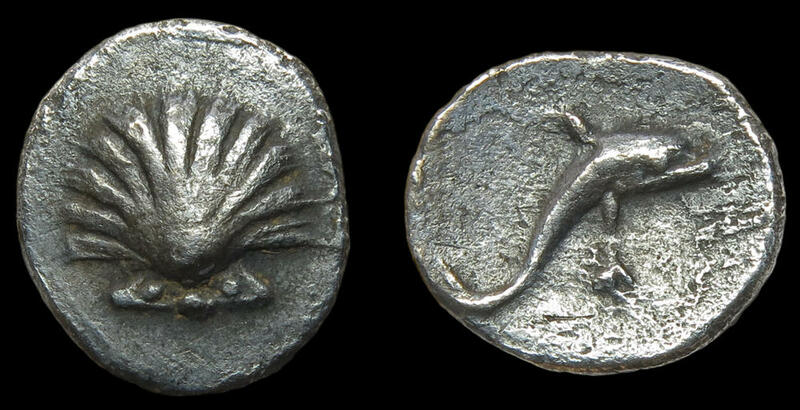 Monete d'argento di Dracme di Bretti 216-214B.C. 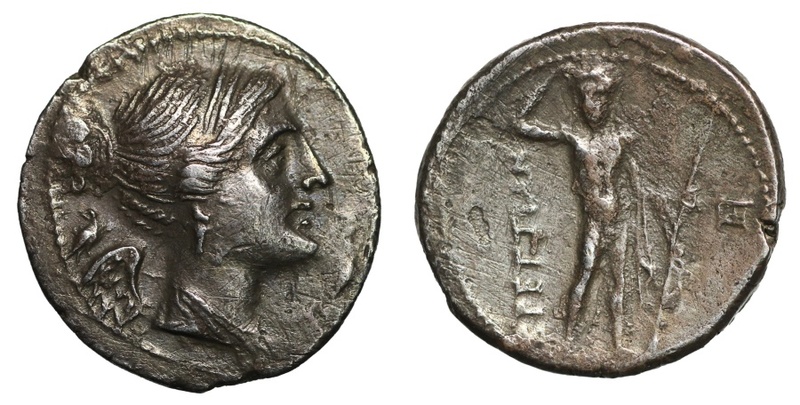 Monete di Bretti 208-203 B.C. I Bretti e i Lucani erano resistenti testardi di tutte le cose greche. I Greci avevano colonizzato le città costiere della Sicilia e dell'Italia meridionale, ma i Bretti e i Lucani si rifiutarono di cedere. Lo zio di Alessandro Magno invase anche Cosenza nel 331 B.C. In una battaglia vicino a Lago, la forza indigena combinata sconfisse il suo esercito e lo uccise. Questo è il motivo per cui Alessandro Magno governò la Grecia in Afghanistan, ma non tentò mai di conquistare l'Italia. I Bretti si schiantarono al potere precipitosamente dopo aver fatto delle scelte sbagliate contro Roma. Dopo essersi schierati con Annibale nella Seconda Guerra Punica, Roma ne ha avuto abbastanza. Roma confiscò metà del loro territorio e insistette sul diritto di bonificare le loro preziose foreste, che finirono col fornire legname e pece per le flotte romane. Roma trattava i sanniti in modo altrettanto aspro. Anche Roma iniziò a sistemare le famiglie dei soldati veterani a Cosenza. Ai Romani che servirono vent'anni nell'esercito furono dati grandi appezzamenti dei migliori terreni agricoli d'Italia. Le colonie romane erano situate nell'attuale Campora San Giovanni (Amantea), a 16 km da Lago, nel 194 B.C., e anche a Figline Vegliaturo, San Lucido e Cosenza. Inoltre, gran parte del territorio limitrofo di Amantea è stato dato al popolo romano come terreno pubblico - chiunque poteva ospitarvi e coltivare i raccolti. Infine, i Romani probabilmente trovarono anche una piccola base militare vicino a Lago, nella moderna Aiello. Combinati, questi meccanismi hanno "romanizzato" la popolazione e sono la ragione per cui oggi l'Italia parla una lingua di derivazione latina. La moderna popolazione di Cosenza discende da questa popolazione combinata di Romani-Bretti, forse con una smidgeon di greco. Molte personalità famose dell'epoca classica avevano una presenza significativa a Cosenza o erano etnicamente oscane. Ad esempio, Cicerone aveva una villa sulla spiaggia appena a sud di Cosenza e chiamava l'area tra i luoghi più belli del mondo antico. Pitagora ha inventato il suo famoso teorema a Cosenza. E, naturalmente, San Pietro è passato di là mentre andava a Roma. Ponzio Pilato era un Sannita. Così era il poeta Orazio. La discendenza di Cesare Augusto era in parte di Cosenza, e probabilmente trascorse alcuni dei suoi anni di formazione in una piccola città a 70 miglia da Lago. Tito Statilio Toro, che le forze di Antonio e Cleopatra si arresero ad Azio, era Lucano. 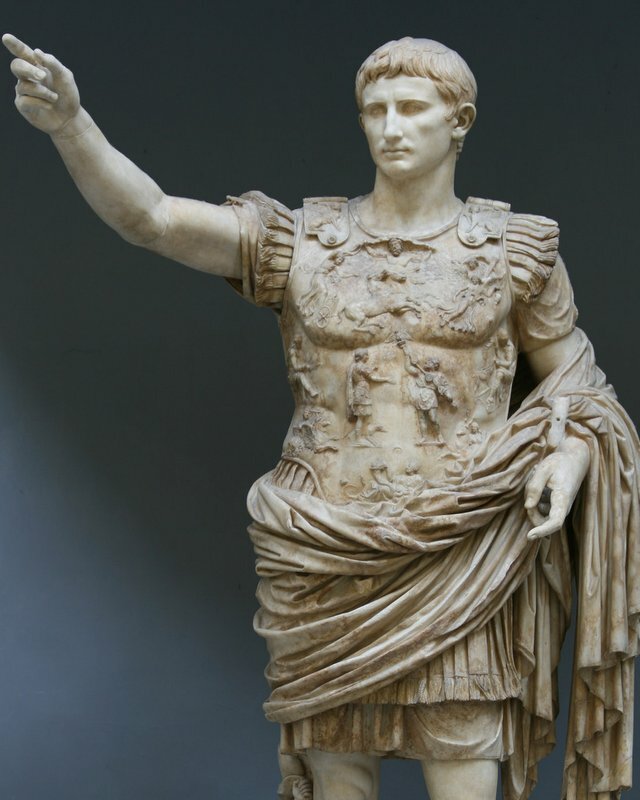 Il successivo imperatore romano Libio Severo era originario della regione di Cosenza, così come l'imperatrice Bruttia Crispina. Ce ne sono molti altri. Quando l'impero romano cadde, la città di Cosenza divenne famosa non per chi viveva lì, ma per chi morì lì. Alarico, re dei visigoti germanici che aveva saccheggiato Roma, catturò la malaria a Cosenza. I suoi seguaci deviarono il fiume a Cosenza, seppellirono Alaric (ei tesori di Roma) nel letto del fiume, massacrarono tutti quelli che sapevano del luogo e dirottarono il fiume per coprire la tomba. Ogni pochi anni si bagna una pallina, ma il suo preciso luogo di sepoltura e il tesoro non sono mai stati trovati. Gli archeologi hanno recentemente rinnovato gli sforzi per localizzarlo, poiché si ritiene che la scoperta possa rivaleggiare con Troy, o tomba di Re Tut, nel suo splendore e significato. Cosenza faceva parte dell'impero romano occidentale per quasi settecento anni stabili. Ma l'area intorno a Cosenza era in qualche modo una regione di confine caotica durante il medioevo. Dopo che l'impero romano occidentale cadde nel 476 B.C., Cosenza rimase fedele all'imperatore orientale e al concetto di impero. Era quindi parte dell'impero "bizantino" (romano orientale), avanti e indietro, fino a circa il 1000 B.C. Ma i vari governanti germanici d'Italia avevano anche una presenza forte e significativa lì, in primo luogo longobardi e normanni. La città che conosciamo come Lago fu fondata intorno al 988 A.D. - certamente tra il 950 A.D. e il 1010 A.D. I pirati saraceni hanno saccheggiato la regione e rapito la popolazione. Verso il 988 A.D., hanno infine messo Cosenza a sacco e catturato Amantea. I sopravvissuti si dispersero e sistemarono le zone montuose dove si era più al sicuro. Diverse aree montuose sono state selezionate anche per essere una linea di prima difesa. Watchmen avvertirebbe di avvicinarsi alle navi dei pirati. Lago era uno di questi insediamenti. Le incursioni non erano l'unica ragione per cui le pianure furono abbandonate in quel periodo. Come discusso sopra, i Romani deforestarono gran parte delle foreste precedentemente maestose di Cosenza. Ciò fece sì che il terriccio scendesse lungo le montagne e che i fiumi si riempissero di limo. I fiumi che scorrevano più lentamente significavano più zanzare che potevano riprodursi. Altre zanzare significavano malaria. Le regioni costiere divennero maligne. Generalmente tuttavia, le zanzare non si riproducono sopra una certa elevazione. Quindi, mentre la pianura diventava malarica, la popolazione si nutriva sulle montagne, dove i fiumi scorrevano ancora come torrenti e la malaria non era poi così male. Quindi i pirati e la malaria sono le ragioni principali per cui la comunità di Lago è stata formalmente fondata, durante il periodo precedente e subito dopo il 1000 A.D.
Il nome di Lago viene talvolta chiamato un mistero, perché significa "lago" in italiano, ma non c'è il lago. La gente del posto, inoltre, la pronuncia, "vacu", un po 'come "vuoto". Alcuni affermano che nessuno sa se Lago è stato nominato a causa di un rigonfiamento in un fiume (un piccolo lago, che forse è scomparso da allora), o perché è un piccola valle (cioè, in una parte vuota delle montagne). La spiegazione più parsimoniosa è la prima, che deriva dai seguenti fatti: il fiume Licetto ("Eliceto", "Acero") gira bruscamente ai margini della città; il fiume Licetto ha una storia di insabbiamento; l'area circostante è famosa per le sue colate di fango; altri fiumi in Calabria hanno cambiato rotta nei 2500 anni di storia registrata; e che ci sono molti esempi di rigonfiamenti nei fiumi che vengono chiamati "laghi" - per esempio, Lake Havasu, che è solo una parte del fiume Colorado. Pertanto, è un comodo presupposto che la città abbia preso il nome da un rigonfiamento nel fiume Licetto, una parte della quale è ancora visibile al margine nord-occidentale della città. In effetti, come un luogo con abbondante acqua a causa delle numerose sorgenti, il fiume Licetto e il torrente Olivo ad est, è molto probabile che, ancor prima della sua fondazione formale, Lago fosse per millenni un luogo in cui gli umani si erano stabiliti. Pertanto, i pirati e la malaria del Medioevo hanno semplicemente causato l'aumento degli insediamenti esistenti a Lago. Lago era un "sobborgo" (nel territorio della) città-stato di Aiello durante gran parte della sua prima esistenza. Aiello fu fondata dai Romani, originariamente denominata "Agellus" ("piccolo campo; tenuta"), ed era il probabile sito di un piccolo campo militare lungo un percorso strategico di comunicazione e commercio. Lago probabilmente non è cambiato molto a causa del Rinascimento. A causa del suo isolamento remoto, l'Italia meridionale era un retaggio comparativo del Nord Italia durante il Rinascimento. Ma c'erano alcune persone importanti di Cosenza che hanno contribuito molto al mondo durante quell'epoca. In primo luogo, due dei navigatori dei viaggi di Cristoforo Colombo provenivano dall'area attorno a Lago. In secondo luogo, il filosofo Cosentino Bernardino Telesio fece molto per sviluppare il pensiero e il metodo scientifico durante il Rinascimento, e pensatori influenzati come Francis Bacon e Rene Descartes. San Francesco di Paola era, naturalmente, un noto pensatore religioso e personalità. E infine, c'erano diversi pittori del patrimonio cosentino che dipinsero capolavori in tutta Italia. Durante il tardo Rinascimento, furono costruite diverse chiese a Lago, alcune delle quali sono ancora in piedi. La chiesa, "Madonna delle montagne", costruita nel 1652, è piuttosto bella. Uno si chiede, naturalmente, come i devoti cittadini, dopo una dura giornata di lavoro nei campi, abbiano trovato il tempo per erigere strutture come questa, senza macchinari avanzati. Cosenza era un centro di produzione di seta mondiale durante gran parte della sua storia. Prima che la Rivoluzione Industriale permettesse di fabbricare vestiti economici in Inghilterra, i nostri antenati erano per lo più produttori di seta. Nel censimento del Lago del 1753, la ricchezza era principalmente dovuta al numero di alberi di gelso posseduti e al numero di figlie che erano materiali da matrimonio. 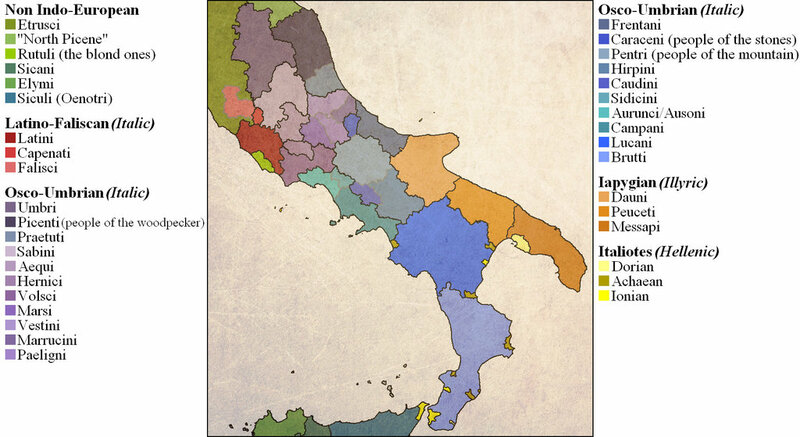 Come il resto dell'Italia meridionale, Lago divenne parte del Regno di Napoli e del Regno delle Due Sicilie (praticamente tutta l'Italia a sud di Roma) fino alla riconquista italiana nel 1861. Era parte della provincia conosciuta come Calabria Latina. Our donation form is in US Dollars, but you can submit donations in Dollars or in Euro! Il nostro modulo di donazione è in Dollari USA, ma puoi inviare donazioni in Dollari o in Euro!